Gary Epler will team with Brian Tracy and several leading experts from various industries to release the new book, “Ignite Your Life: The World’s Leading Entrepreneurs and Professionals Reveal Their Secrets to Ignite Your Health Wealth and Success” by CelebrityPress. Boston, MA – December 8, 2015 – Gary Epler has joined Brian Tracy and a select group of experts and professionals to co-write the forthcoming book titled, Ignite Your Life: The World’s Leading Entrepreneurs and Professionals Reveal Their Secrets to Ignite Your Health Wealth and Success. Nick Nanton, Esq. along with business partner, JW Dicks, Esq., the leading agents to Celebrity Experts® worldwide, recently signed a publishing deal with each of these authors to contribute their expertise to the book, which will be released under their CelebrityPress™ imprint. Dr. Gary Epler is a world-renowned health leader and a Harvard Medical School professor. 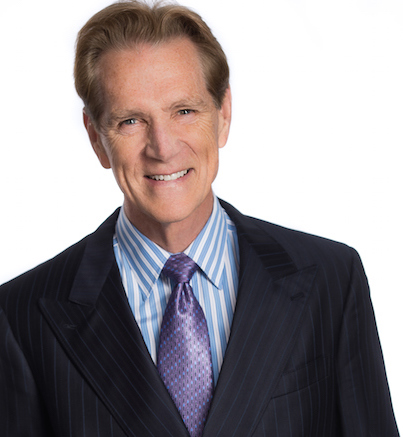 He is an authority on health, nutrition, fitness, and executive health excellence. He has impacted the lives of people throughout the world through speaking engagements, books, and teaching. Recognized yearly since 1994 in “The Best Doctors in America,” Dr. Epler believes personalized health empowers people. He has written more than 110 scientific publications and four health books in the critically-acclaimed “You’re the Boss” series including Manage Your Disease, BOOP, Asthma, and Food. Dr. Epler’s latest book, Fuel for Life: Level-10 Energy is about living a high-energy life filled with enjoyment and creativity. He is currently writing The Universal Path to Health and Happiness: 15 Practices Used by People all over the World. Dr. Epler discovered the treatable lung disorder bronchiolitis obliterans organizing pneumonia (BOOP), and he is regularly called upon to help individuals from around the world with this rare lung disease. He found a new parasite in South America, chronicled the nutritional needs of North Afri­can children, and managed the tuberculosis refugee program in Southeast Asia. In addition to conducting clinical and research work, Dr. Epler strives to educate. He became Editor-in-Chief of an educational program in critical care and pulmonary medicine offered by the American College of Chest Physicians. Dr. Epler ran seven marathons including Boston, New York, and proposed to his wife, Joan at the start of the Paris Marathon; and for their first anniversary, they ran the original Greek marathon together. He delivered the 20th baby from a mother who named the baby after him. He has taught medicine throughout the world and was fortunate enough to save a dying infant in South America from an overwhelming parasitic infection by using the sap from a fig tree. He saved a baby who choked on a donut during a little league baseball game that he was coaching. He is a radio and television personality. Dr. Epler has written a Hollywood medical thriller movie script about a doctor who puts his hospital in lockdown mode when he realizes that a group of terrorists plan to use one of his patients infected with an Ebola-like virus as a biological weapon. He is active in the community by coaching soccer, basketball, hockey, baseball, and club baseball at Boston College. He lives in the Boston area with his wife.